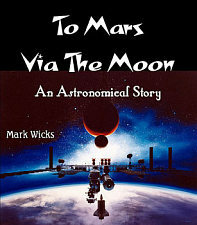 This is the genesis of the story; and, in carrying out my programme, I have endeavoured to convey by means of natural incidents and conversations between the characters portrayed, the most recent and reliable scientific information respecting the moon and Mars; together with other astronomical information: stating it in an interesting form, and in concise, clear, and understandable language. Every endeavour has been made to ensure that this scientific information shall be thoroughly accurate, so that in this respect the book may be referred to with as much confidence as any ordinary textbook. Apart from my own studies and work, all these facts have been carefully verified by reference, as regards the moon, to the works of such well-known authorities as Neison, Elger, Proctor, Sir Robert Ball, &c., whilst, with respect to Mars, the works of Professor Lowell, Flammarion, Professor Langley, and other writers, as well as practical papers by other actual observers of the planet, have been studied. The personal opinions expressed are entirely my own, and the technical writers above mentioned are in no way responsible for them. I do not, however, expect my readers to accept all my views, as they relate to matters in which there is ample room for differences of opinion. 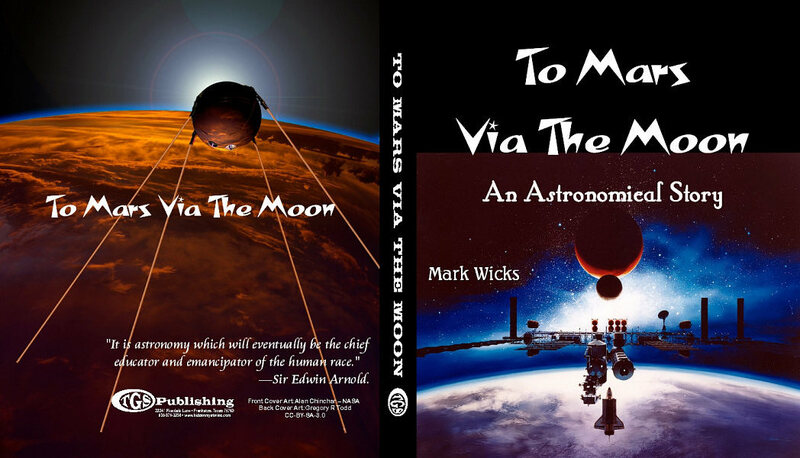 The reader will, of course, understand that whilst the astronomical information is, in all cases, scientific fact according to our present knowledge, the story itself-as well as the attempt to describe the physical and social conditions on Mars-is purely imaginative. It is not, however, merely random imagining. In a narrative such as this some matters-as, for instance, the "air-ship," and the possibility of a voyage through space-must be taken for granted; but the other ideas are mainly logical deductions from known facts and scientific data, or legitimate inferences. Many years' careful study of the various theories which have been evolved has convinced me that the weight of evidence is in favour of Professor Lowell's conceptions, as being not only the most reasonable but the most scientific; and that they fit the observed facts with a completeness attaching to no other theory. These conceptions I have endeavoured to present fully and clearly; together with my own views as an entirely independent writer. In dealing with the conditions on a distant and inaccessible world the farthest flight of imagination might fall short of the reality, but I have preferred to treat these matters somewhat restrainedly. Whilst no one can say positively that the intelligent inhabitants of Mars do not possess bodies resembling our own, it is very probable that they differ from us entirely; and may possess forms which would appear to us strange and weird. I have, however, thought it desirable to endow the Martians with bodies resembling ours, but glorified in form and features. The powers ascribed to the Martians are really only extensions of powers which some amongst us claim to possess, and they fall short of what more than one modern scientific writer has predicated as being within the possibilities of science at a not very distant future. During the past few years I have been greatly indebted to Professor Lowell for his kindness and ready courtesy in furnishing me with information on obscure matters connected with Mars; and my thanks are also due to the Rev. Theodore E.R. Phillips, of Ashstead, who was good enough to read the manuscript of this book, and whose great observational experience enabled him to make valuable suggestions in regard to the scientific matters dealt with therein. Truly "a labour of love," this little book-which Professor Lowell has most kindly permitted me to dedicate to him-is now submitted to the public, in the sincere hope that its perusal may serve not only to while away a leisure hour, but tend to nurture a love of the sublime science of astronomy, and at the same time provide some food for thought.